The bathroom is the most visited room in any home. It needs attention daily and if left untouched can quickly become the most disorganized room in the house. While the bathroom is not the most fun to organize and clean, if you follow these 5 quick and easy steps for organizing your bathroom, there will be no need to have to deep clean or reorganize for a while. Step 1: Gather and sort all the items in your bathroom. That means everything from the vanity top, drawers, medicine cabinet, and even the linen closet. Sort everything into four different piles—keep, toss, give away, and then an “I’m not sure” pile to go through again at the very end. Step 2: Deep Clean everything. With hair spray and makeup and steam from the shower, the bathroom can get dirty fast. Now is a good time for a deep cleaning. Wash down the counter tops, sinks, drawers and shelves. If you have any old toothbrushes lying around, they make good scrubbing tools around faucets and drains. Clean the mirrors, wash the windows (if you have them) and clean the tub and toilet areas. If you have knick-knacks sitting in your bathroom or pictures hanging on the wall, get those down and give them a good dusting or wiping. Step 3: Put everything away and organize as you put away. 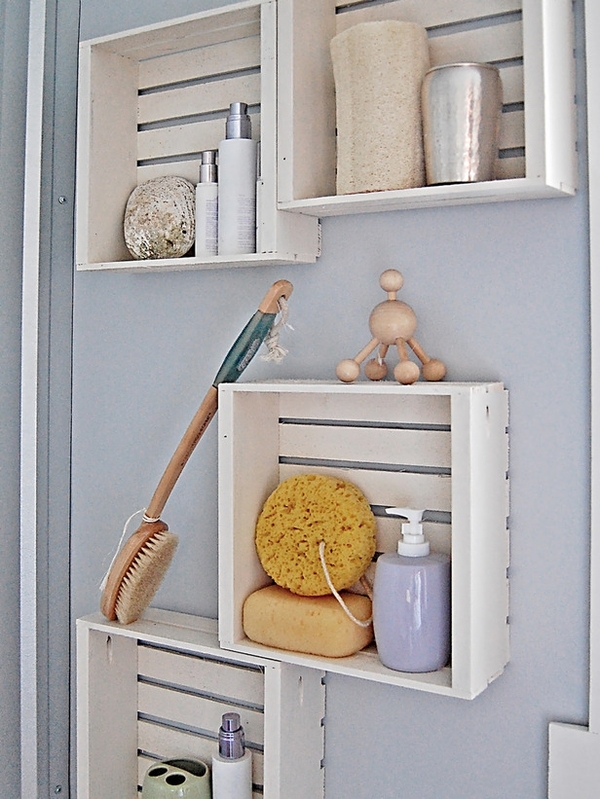 Start with the easiest space first–the medicine cabinet. Once you get things put away there, you can move on to the drawers, linen closet, etc. If you want to get really organized, purchase some drawer dividers to keep things such as makeup, shaving supplies, and nail care products neat and accessible. Extra items can be placed in clear plastic containers with lids, labeled clearly, and tucked away under the sink or in the linen closet. Step 4: Pretty it up. If your bathroom is void of any decorations and the walls are bare, you might want to add some decorative touches or scented candles by the tub, and so on. An attractive, well-organized bathroom will be a joy to use and may even motivate you to move on to organize the rest of the house! But remember – getting your bathroom, or any room in your home – organized is only the beginning. You’ll also need to have a plan in place to stay organized. In the bathroom, that might mean taking an extra 5 minutes every morning to put everything away, wipe down the vanity, and clean the sink. Teach everyone in your house to do these simple tasks after they’ve used the bathroom, and it will stay clean and orderly for a long time.